In his famous Reflections on the Revolution in France (1790), Edmund Burke excoriated French revolutionary leaders for recklessly destroying France’s venerable institutions and way of life. But his war against the French intelligentsia did not end there, and Burke continued to take pen in hand against the Jacobins until his death in 1797. 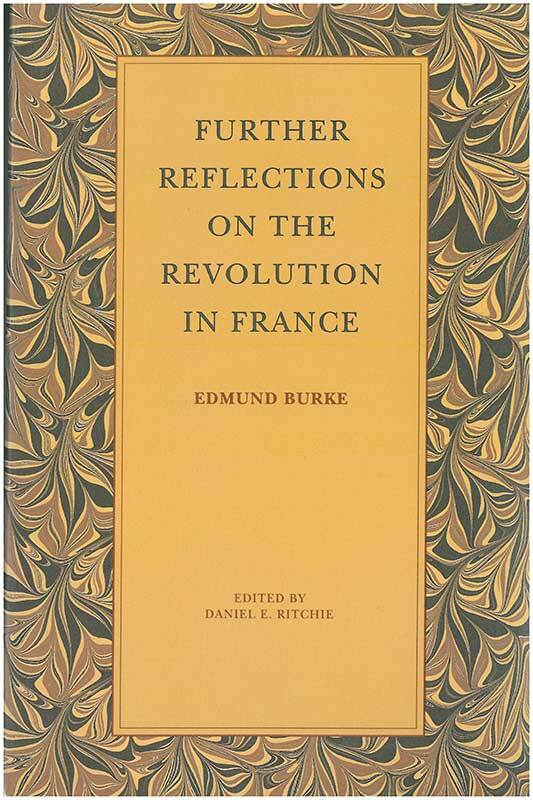 This collection brings together for the first time in unabridged form Burke’s writings on the French Revolution that anticipate, refine, and summarize the works in his famous Reflections on the Revolution in France. There are seven items in the collection. Included are “Letter to a Member of the National Assembly,” “Appeal from the New to the Old Whigs,” and “A Letter to a Noble Lord.” A foreword and headnotes to each selection point the reader to some of the key issues. Daniel E. Ritchie is Professor of English Literature at Bethel College. Foreword, editor's note, list of short titles, index.